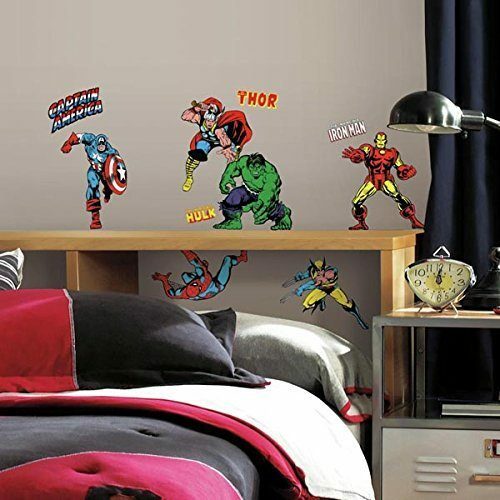 Marvel Character Peel And Stick Wall Decals Only $9.16! 32 Count! You are here: Home / Great Deals / Amazon Deals / Marvel Character Peel And Stick Wall Decals Only $9.16! 32 Count! Change up the kids’ rooms decor without a lot of effort! This 32 count pack Marvel Character Peel And Stick Wall Decals is Only $9.16! Love these decals because they go on and come off very easily! Decals range in size 3″wide x .8″high to 7.5″wide x 9″high!